In the business world, effective communication in reports plays a critical role. A business report for Ecommerce is used to examine and suggest solutions after analyzing the situation thoroughly and logically. But how to write effective reports for your business? In this article, we will provide you a step-by-step guide to help you. Keep on reading! Execute your marketing campaigns? Or to recommend new analytic tools and solutions for your company? Should our company invest in AAA project? Content for the general public is undoubtedly different from that for an expert, that’s why you need to know your readers, and by that determine how you use the language in the report (more detailed and technical, or more general). For analysis: You need to provide surveys’ results, interviews, past data, etc. For suggesting professional solutions: You need to write realistic information, proofs, and then conclude by your recommendations. You need to keep a balance between opinions, personal or expert judgments, and advice in your report. For experts: You can use more terminologies and quote data from professional researches instead of background details because most experts are expected to have the basic knowledge already. Sentences and paragraphs construction can be more complicated. For the general public: Use less specialized words, less technical vocabularies. Instead, provide more background knowledge for the audiences to grasp overall understandings, in case they’re not familiar with the concepts. Topic sentence: Must contain the keyword that outlines the content, so that when readers skim-read the report, they can get the essential point of each paragraph quickly. The following sentences should be evidence and examples to develop details of each point. And the last one must be the conclusion that links logically to the points mentioned before. Vocabulary: Must convey the meanings precisely, naturally, clearly yet be direct and straightforward. In professional content specifically, you need to use advanced words to impress, for example, using “implement” instead of “do,” “sufficient” instead of “enough,” etc. Tone: Show your confidence as much as possible. In case the report is to make recommendations, you need to deliver it as if you know very well how everything happens, but try not to make it sound dogmatic. Objectiveness: A report usually need to be formal, so impartial and objective way is a good idea especially when making recommendations. Tense: It’s better to write in the past tense because most of the events that you write in the report already happened. For each part, write on a new page, and include the number of pages in the corner. 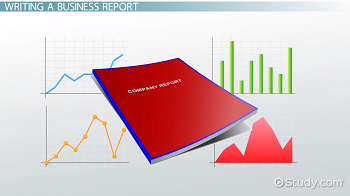 Below is a step-to-step guide instructing you how to write a business report. There’re also a lot of SAAS tools available that help you compose a decent report, especially report for Ecommerce, some of which are even integrated with analytics tool, CRM tools, etc. We will introduce them to you in the next articles.